Belly wraps have been used for centuries for different medicinal purposes. Japanese medicine insists on the importance of posture, support and warmth on the abdominal area, and they achieve this with their Haramaki (belly wrap). Belly binding in Japan is something as common and natural as eating rice everyday. 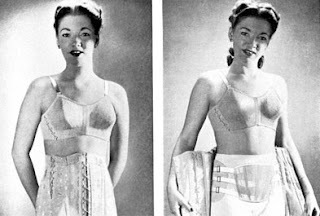 Latin America calls it Faja and Latin women have also used this binding method for centuries, searching to provide heat and energy. India and parts of Europe believe wholeheartedly on its benefits. By compression, these wraps are designed to help get the loose skin attached to the muscle, avoiding things like water to accumulate in that specific area(water retention). It is as simple as that!!! Now a days, banding is used after liposuction, as the grease that is in between the skin and the muscle is sucked out and the skin needs pressure to reattach to the muscle. SIMPLE and IT WORKS.!! Just be aware that the belly wrap will take care of loose skin and support the stomach muscles on getting back to work, but if you want your firm six pack back, you have to work them out (as soon as you can). The Belly Wraps can be worn within 24 hours of giving birth and for a period of 4 to 8 weeks. Remember that all skins are different and some may stretch easily and go back to their original state just as easily, but others take longer and need a little help. Oil: this is another Colombian secret that we fondly stick to. Mix some oil with your body moisturizer. I use almond oil, but any body oil is fine, some people even use olive oil. Make sure you use it after every shower ALL OVER your body (this should be done throughout the pregnancy as well). I mix 1/2 cup of oil with a big 725ml bottle of body moisturizer. Liquids: drink plenty of water, decaf teas, real squeezed juices. Activity: start up some kind of activity as soon as you can. It does not have to be a 2 hour extenuous workout. Begin with a walk around the block, make it two walks later on or a longer one. When you feel up to it wear ankle weights. Patience: patience is a virtue. Take it easy, it took 9 months for the body to get where it is, so don't rush. You will see changes and results little by little. Meet Jay M. Goldberg, M.D., F.A.C.O.G. A Top Beverly Hills Obstetrician/Gynecologist & a Member of our Team! 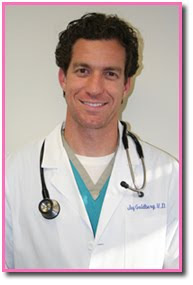 A Fellow of the American College of Obstetrics and Gynecology, Dr. Goldberg earned his medical degree from the Medical University of South Carolina in 1996 after completing his undergraduate education at the University of California, San Diego. His internship and residency training took place at Kaiser Permanente in Los Angeles. Dr. Goldberg has been a member of the Women’s Care of Beverly Hills Medical Group since 2004. Why should a new mother use the Belly Bandit®? Abdominal compression wraps provide additional back support and expedite the rate at which the abdomen returns to its pre pregnancy state. How does the Belly Bandit® work? It compresses the portion of the body it’s wrapped around, forcing the lower back to straighten and taking tension off this area. By constricting the abdomen, the Belly Bandit® provides better support and more confidence for the new mom recovering from her obstetrical experience. How quickly after birth can you use the Belly Bandit®? The Belly Bandit® can be worn within 24 hours of delivery. Can I use the Belly Bandit® after a c section? Absolutely. Wearing an abdominal compression wrap after a c section may actually decrease the post op recovery time by minimizing associated incision pain, which allows greater mobility post surgery. Of course, consult with your physician before you do so. Who do you recommend the Belly Bandit® for? I recommend the Belly Bandit® to any patient in the postpartum period, whether recovering from a vaginal delivery or a c section. How long would you suggest that a patient use the Belly Bandit®? Everybody’s different. 4-6 weeks after delivery seems sensible. When can you wear the Belly Bandit®? The Belly Bandit® can be worn all day long, and even while you sleep. It’s most important that you feel comfortable while wearing the Belly Bandit®, but there are no restrictions as to how long throughout the day it can be worn. It’s not meant to be worn in water and therefore should be removed for baths and showers. Does the Belly Bandit® take the place of diet & exercise? Absolutely not. In fact, I would hope it would make new mothers more aware of their bodies and encourage them to eat a well-balanced, healthy diet, and exercise on a regular basis. Why are you on board? I’m on board because I believe the postpartum period is a transition into a new lifestyle that doesn't necessarily focus on the new mom and her well-being. Mothers, more often than not, sacrifice their self care for that of their newborn. 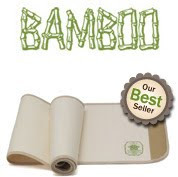 The Belly Bandit® encourages better posture, abdominal support, and self confidence. It’s a simple solution new moms can do to take care of themselves as their focus shifts to caring for the new baby in their lives. หน้าต่างรูปภาพ ธีม. รูปภาพธีมโดย TommyIX. ขับเคลื่อนโดย Blogger.